← Click here to go back to the 'Our Team' page. Tom Abbate (NMLS #785345) is a Senior Loan Originator for Petra Cephas. 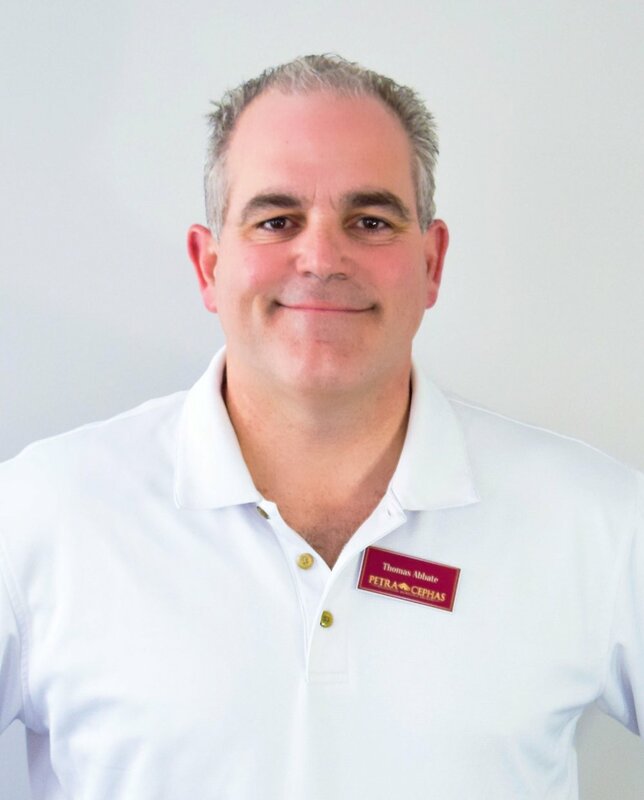 With over sixteen years of experience in the residential mortgage industry, Tom is a seasoned veteran and has garnered significant knowledge of the mortgage process. Graduating from Rutgers College of Engineering in 1990 and later acquiring an MBA from Monmouth University in 1995 has given Tom the ability to harness his passion for business with his data-driven, problem-solving engineering skills. Prior to his work at Petra Cephas, Tom had the honor of originating loans for numerous mortgage companies such as First Choice Bank, People’s Bank and Home Point Financial. As a result, Tom has earned a knack for ease of processing, 100% control of the loan, and short turn-times. Aside from work, Tom is a loving husband and father of four beautiful children. He currently resides in Freehold, where he can be frequently found tasting the numerous new restaurants in the surrounding communities. He is also a fan of numerous sports, particularly baseball, football and golf.